If there is ever a chance to glimpse into the future – the annual Consumer Electronics Show (CES) in Las Vegas is the place. Whether you’re looking for autonomous taxis (airborne or road-bound), next-generation automotive technology (intelligent headlights and driver assistance systems) or the, um, “specialized” technologies (roll-up TVs and ‘smart’ toilets) – it should be no surprise that the world’s largest tradeshow has everything. I’ve had the privilege of providing media relations support for a major Golin technology client at the show for the past six years and have attended the show five times. Each year is a new challenge and provides a unique glimpse into what’s to come in the tech industry in the months, years and decades to follow. 5G: We’re still quite a ways away from seeing a complete 5G roll-out – but that’s not stopping tech brands from trying to win mindshare in 5G. At CES, I saw many smart products that previously connected via Wi-Fi adapting to support 5G. This will mean a seamless experience wherever you go – with more bandwidth… but the benefits of 5G will likely be realized in the industrial and automotive markets before consumers feel a difference with their smartphones. An interesting question was posed challenging the need for 5G: “How many consumers are really complaining today about their high-definition movies downloading in 45-60 seconds via 4G LTE?” Regardless of your answer to that question, 5G will certainly revolutionize the industry – it may just take longer for communicators to teach consumers about the real-world benefits and applications outside of their smartphones. Autonomous systems: We’re clearly destined for a future with more automated systems (and AI), but I wouldn’t expect a Jetsons-like robot utopia. There was probably more media coverage this year on Bell’s awesome (!!!) autonomous taxi helicopter than anything else. I didn’t get a chance to climb into it – but from the few times I stopped by the booth to gawk at it, I’ll admit I was in awe. Unfortunately, we’re years – if not decades – away from this being a realistic method of transportation. There were many other technologies at CES that will take daily human tasks and automate them, including hundreds of evolutionary automotive technologies that will help driving become safer – but will ultimately still rely on an attentive person in the driver’s seat. There were even more practical autonomous innovations that I was surprised no one had thought of before! When it comes to these smart systems – there’s a lot to be excited about, but as a communicator, I know our industry still needs to build and justify why consumers need this type of technology beyond the cool-factor. Last but not least, privacy. I think we all underestimated the impact of consumer privacy taking over CES discussions this year. I’m sure many people heard about Apple’s high-profile trolling of Google regarding Android privacy, but that’s more of an effect than a cause of the ongoing privacy dialogue. I had a lot of media asking questions about privacy – and many feel the tech industry is at an inflection point on its uncontrolled (and in some instances, unethical) use of data. The consensus is the status quo is likely to change – and the conversation about privacy isn’t going anywhere. For anyone who works with tech clients – or promotes any ‘smart’ or ‘connected’ products that collect data – you will need to make sure spokespeople are prepared to answer these tough questions. 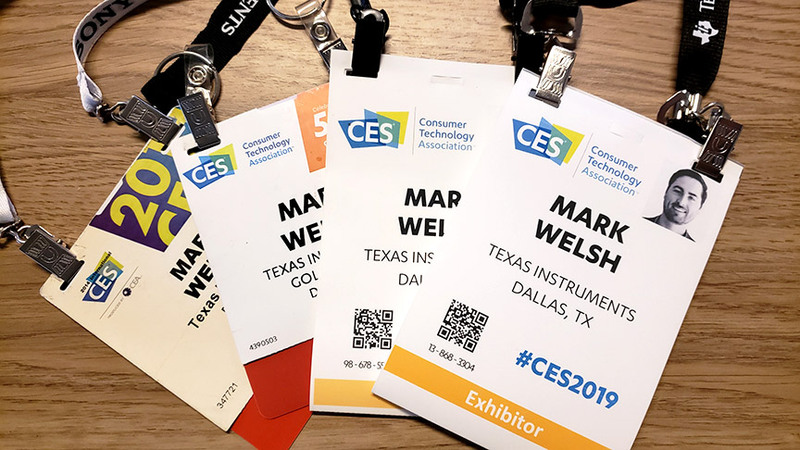 As a communicator, whether you’re working with technology, consumer, food & beverage, healthcare, industrial or financial brands, these three themes from CES will ultimately affect us all.